Besides the shallow trend of Nigeria’s economic diversification, the trade war between the United States (U.S.) and China is increasing its susceptibility to shocks, given that domestic growth in oil and gas sector remains pressured in the last six months. The trade war, according to FXTM’s research analyst, Lukman Otunuga, is not only going to create global instability, but will impact growth and raise risk aversion, particularly against emerging markets, where Nigeria belongs. Nigeria’s biggest trading partners are China and U.S., so the net impact of the trade war will surely comeback to Nigeria, through reduced business deals, with the attendant effects on economic recovery that has remained “fragile”. “In a situation of uncertainty, investors are likely to move their assets away to assessed safe heaven. Anything that is interlinked between the warring parties, especially now that we have the Naira-Yuan deal, will be affected. “The Naira has witnessed relative stability for a long time because the apex bank has sustained its intervention in the foreign exchange market, armed by stable oil prices. But the reserves are now declining,” he said. Meanwhile, FSDH Merchant Bank Limited has reiterated that the economy will require more deliberate policy measures and engagements than the current responses to challenges to avert another recession and urgently. 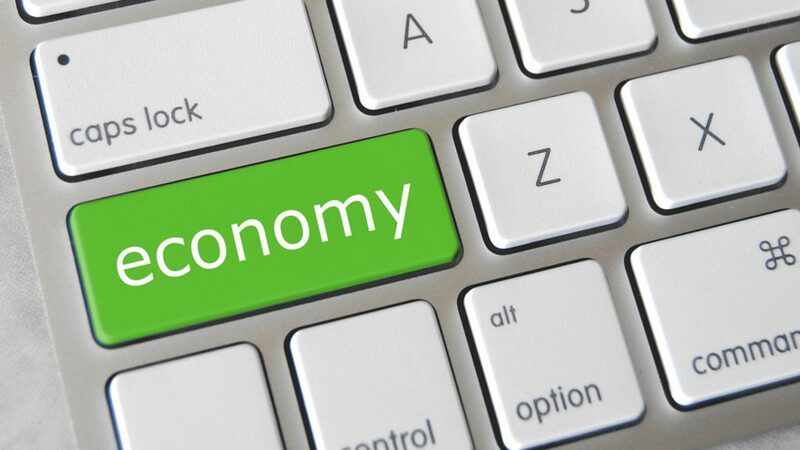 The bank, through its monthly research, said that the real Gross Domestic Product (GDP) growth at 1.5 per cent in second quarter (Q2) of 2018, which was below expectations, with dominant sectors of the economy either low or contracted, is a clear warning sign that urgent actions are required. The Head of Research at FSDH Merchant Bank Limited, Ayodele Akinwunmi, said: “Agriculture, which is the largest sector of the Nigerian economy at 22.86 per cent, recorded a marginal growth of only 1.19 per cent and if not checked, may lead to food shortage in the country and consequently escalating food prices and rising inflation rate. Trade, which is the second largest sector, contracted by 2.14 per cent and now entered into recession in Q2 2018,” he said. True to his assertion, just as the oil sector lost a four per cent growth in the second quarter (Q2), the non-oil sector, with assessed impressive 10-quarter high at two per cent, could not make up the numbers to forestall a decline in Gross Domestic Product. 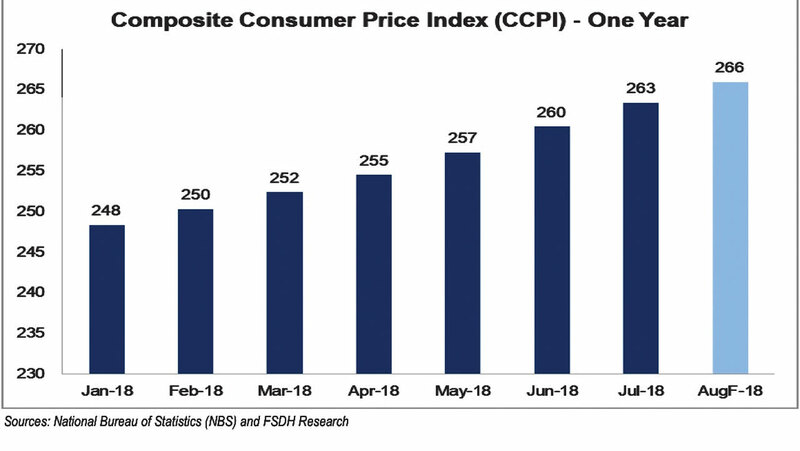 Granted, the inflation has on a steady downward trend in the past 18 months, but that has not translated to the standards of living, particularly the cost of foods, as the Composite Consumer Price Index has maintained an upward trajectory. 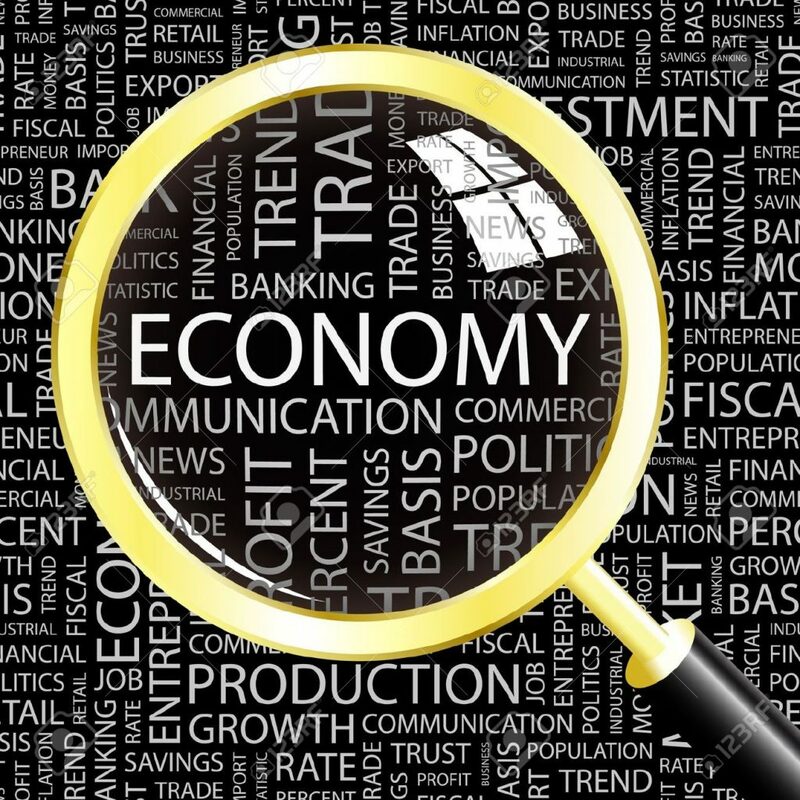 The economy was dealt a blow after the economic growth decelerated in the second quarter of 2018 to 1.5 per cent from the 1.95 per cent achieved in the first quarter of 2018. It was the second in succession, as the first quarter numbers showed a net -0.16 per cent, from 2.11 per cent recorded in Q4 of 2017. “With uncertainty likely to heighten ahead of elections, if inflation starts to rebound amid the election spending, the Central Bank of Nigeria could be forced to maintain status quo on interest rates for the rest of this quarter,” he said. The International Monetary Fund and World Bank have expressed concerns about the need to deepen the diversification, but in a situation where complacency may be kicks in, with a return to oil fortunes, the risks would have only been postponed. The second quarter GDP report is a serious call for reappraisal of policy and level of implementations. But Akinwunmi added that the persistent weak purchasing power in the country is responsible for the contraction in the trade sector, seeking urgent and real improvement in the business environment that can lead to job creation and payment of salary of workers, particularly among the state civil servants, to stimulate purchasing power. “The contraction in the Real Estate sector can be reversed if government at all levels, partners with private sector operators to provide affordable housing units for Nigerians. The current low GDP growth rate is not strong enough to stimulate credit creation. 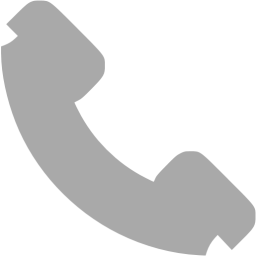 “It has also increased the risk of doing business in Nigeria. Therefore, urgent measures are required so that low GDP growth rate does not become a new norm in Nigeria,” he said. 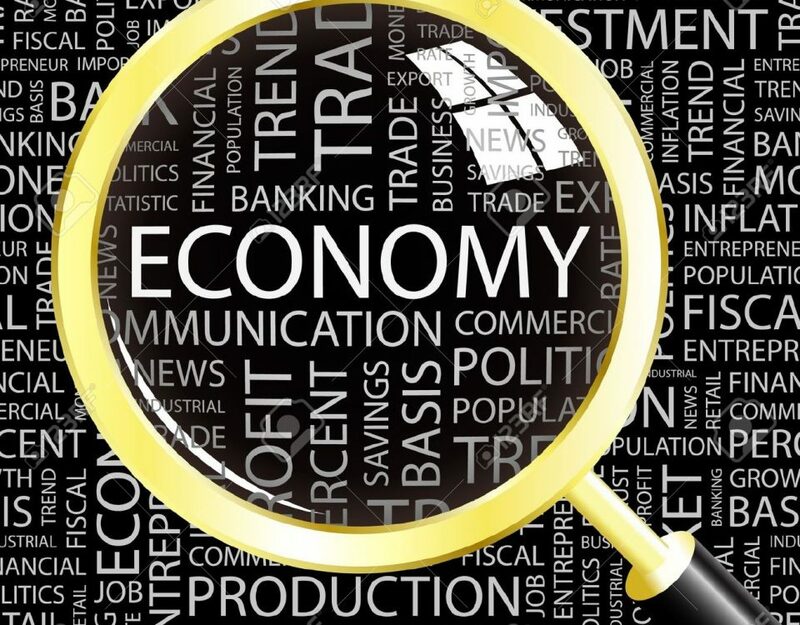 The economist lamented the 12.53 per cent drop in the total value of foreign capital inflow into Nigeria, which stood at $5.51 billion in Q2 2018, when compared with Q1 2018, saying it is an indication of the risk aversion of foreign investors due to uncertainties and expected rate hike in the United States. But also worrisome is that Foreign Portfolio Investments (FPI), also known as “hot money”, remained the most significant component of total inflows in the period, although it contracted too, by 9.76 per cent when compared with the previous quarter. According to him, the development shows that CBN may raise the yield on short-term securities to attract foreign inflows to ensure stability in the foreign exchange market, an outlook that would keep the yields on the Nigeria Treasury Bills (NTBs) at the level recorded in the second auction in August. However, Otunuga was of the opinion that Nigeria may be challenged by trying to achieve a lot of things at the same time, hence putting strain on meagre resources. With the fact that there is high unemployment in youth population and large expanse of arable land, there is the need to encourage them to embrace agriculture, but with alluring opportunities. “For a start, there should be proper focus on electricity and roads, perhaps, the two will fast-track growth and development of other areas. Investment in infrastructure that will create more investments should be the utmost among the priority list. “Power sector crisis has been ongoing, the same with road infrastructure, but there should be real and honest assessment in the infrastructure. I cannot imagine the access road to the United Kingdom’s / U.S. ports being barricaded by anything and lasting for hours. “Charted inflation has eased in Nigeria and there is a wide expectation that it could hit single digit at the end of the year, but there is a case for cost-push inflation- heavy election spending that is more than that observed in UK and Canada,” Otunuga noted. There is a pending interest rate hikes in U.S.- about two more times this year. So, any inverse direction by the CBN is likely going to accelerate capital flight in Nigeria. “This is not what Nigeria needs right now,” he said, adding that there should be impressive GDP growth; continued inflation moderation; and stable. Unfortunately, the second quarter GDP and poor outlook for the rest of the year are also increasing the uncertainties. “I also think that single digit inflation target may not be possible with the expected impact of the violence across the country food belt, but may be close to it,” he added.